The City of David was built in the south of the Temple Mount and is strategically surrounded on all sides by valleys. 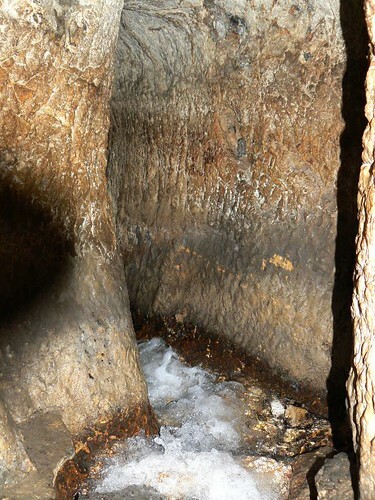 It is perched above its source of water, the Gihon spring, which continue to flow plentifully to this day. 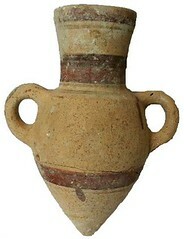 The ridge was inhabited as early as the prehistoric Chalcolithic period, but the first signs of a fortified city date back to the Middle Bronze Age – the days of Abraham (1800 B.C.). While the city was relatively small (12 acres), it was strongly fortified. Massive walls and towers and a sophisticated water system indicate that “Shalem”, as the bible refers to the city in the days of the Patriarchs, was a powerful city that maintained a high standard of living. Joshua defeated the Canaanites but Jerusalem did not fall into the hands of the Israelites until the 10th century BC, when King David led his people to victory over the Jebusites and established the first capital of the united Tribes of Israel at the heart of the Israelite settlement. David built his palace here, fortified the city, and , most importantly, by locating the Ark of the Covenant within its walls, he bestowed upon his new capital the exalted status of G-od’s chosen place. David’s son Solomon reinforced this policy by building his great temple to the north of the city on Mount Moriah. In 586 BC, the City of David was totally destroyed by King Nebuchadnezzar and the Babylonians. Ancient Jerusalem was burned, the First Temple was obliterated, and the Jewish people were taken into Babylonian exile for 70 years. 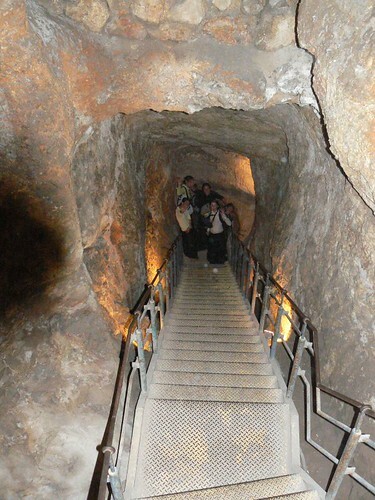 The Canaanite tunnel (tunnel 2) was apparently dug at the same time that the fortifications of the city were established during the Middle Bronze Age 2 Period (18th Century BCE). 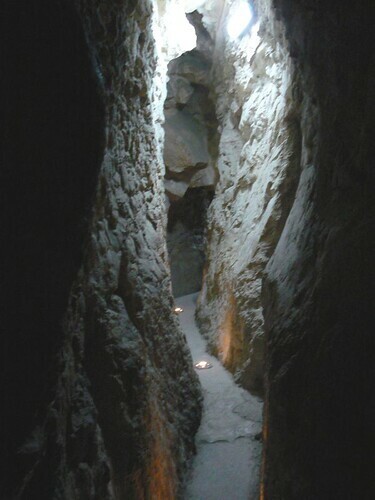 The waters of the southern spring were channeled through this canal for agricultural purposes. 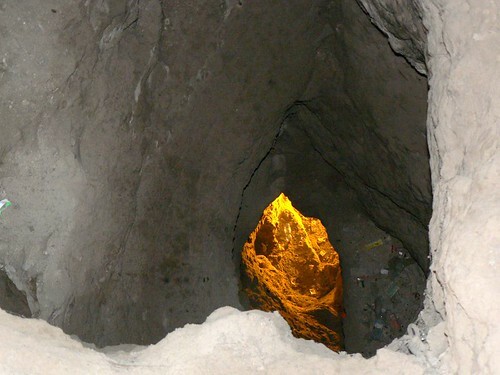 In 1867 the archeologist and treasure hunter Captain Charles Warren uncovered a secret access tunnel that led from the city deep into the mountain, meeting a 13-meter shaft descending to the Gihon Spring. 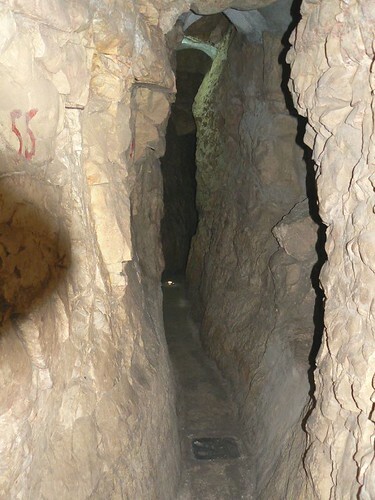 Warren claimed this shaft was the place of the Biblical “pipe” used in King David’s capture of the city, and was used by the ancient Jerusalemites to draw their water from the Gihon Spring. Towards the end of the 8th century BC, the Bible contains a vivid acount of King Hezekiah miraculous deliverance from the infamous Sennacherib, describing Hezekiah’s preparations for the inevitable onslaught of the mighty Assyrian army. 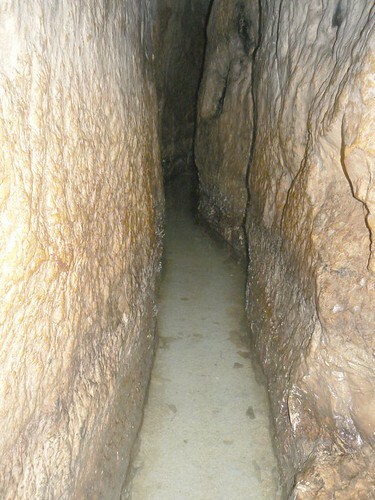 Hezekiah hewed a long tunnel to direct the water from Gihon spring into the Shiloach pool, which was now included within the city walls. 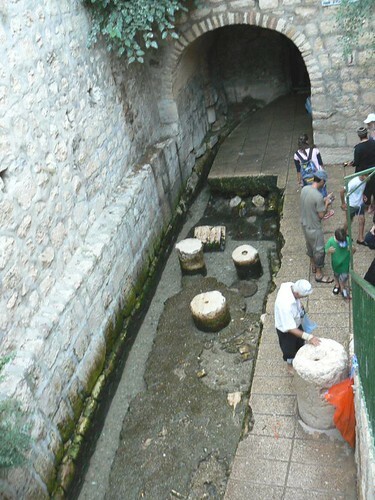 The small Shiloach Pool, to which the waters of the Gihon flow today, is part of a pool from the Byzantine Era. 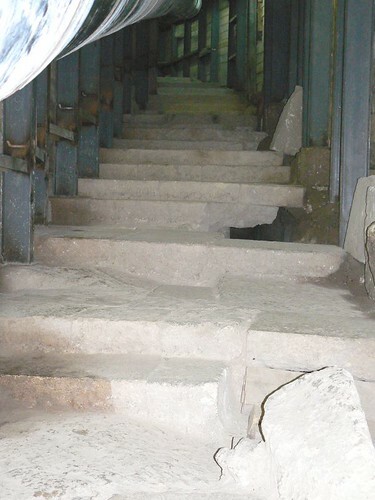 Fragments of pillars which can be seen today in the pool, appear to be remains of the Shiloach Church that was built in this location. 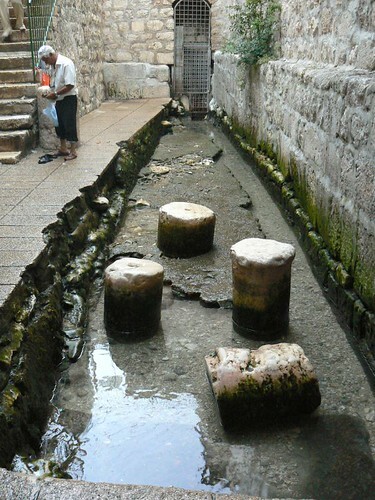 During the Second Temple Era the waters continued to flow south and were collected in an additional, larger pool. 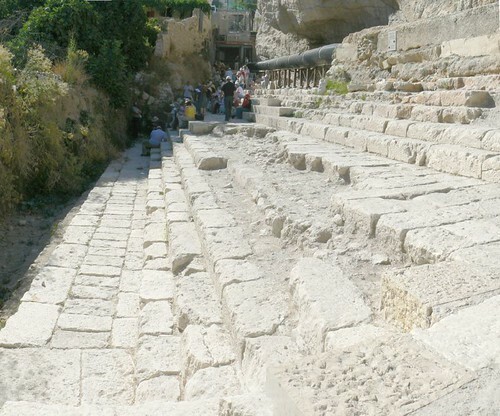 During the time of the Second Temple this pool was about three dunum in size and had wide, central roads leading to it. Archeologists believe that this pool was built upon an older pool dating back to the First Temple Period. 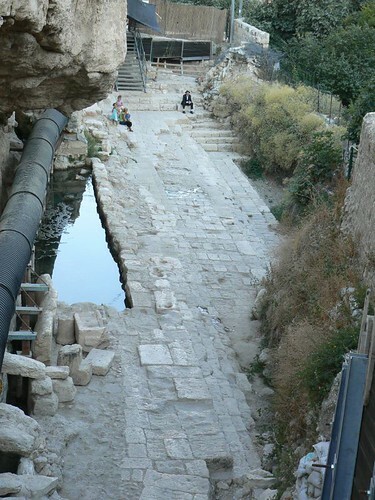 It is to this pool that King Hezekiah diverted the waters of the Gihon.